Paper and Twine Crafty Design, LLC: Make a necklace with a washer, glue and paper! 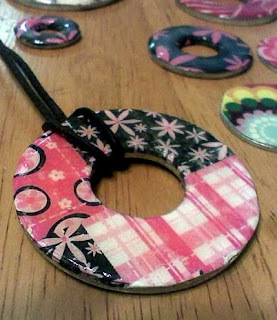 Click here to see how to make a rad looking necklace just using a washer from the hardware store (or from the scary toolbox in the garage! ;-), and some paper and glue!